In this talk we will cover the backup methods available on MongoDB, being from a simple mongodump to the hotbackup tool available on Percona Server for MongoDB. Backups are important and more important is to be aware of the pros and cons of a backup method. This is an intermediate topic for DBAs and SysAdmins who wants to learn a bit more about Backups. 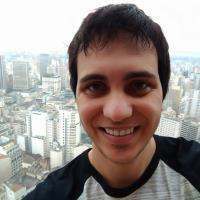 Adamo joined Percona in 2015, after working as a MongoDB-MySQL Database Administrator for three years. As the main database administrator of a startup, he was responsible for suggesting the best architecture and data flows for a worldwide company in a 7-24 environment. Before that, he worked as a Microsoft SQL Server DBA in a large e-commerce company, mainly on performance tuning and automation. Adamo has almost eight years of experience working as a DBA. In the past three years, he has moved to NoSQL technologies without giving up relational databases. He likes to play videogames and to study everything that is related to engines. Adamo lives with his wife in São Paulo, Brazil.